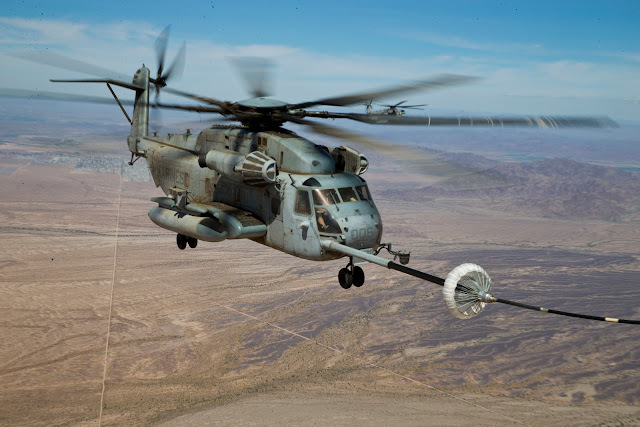 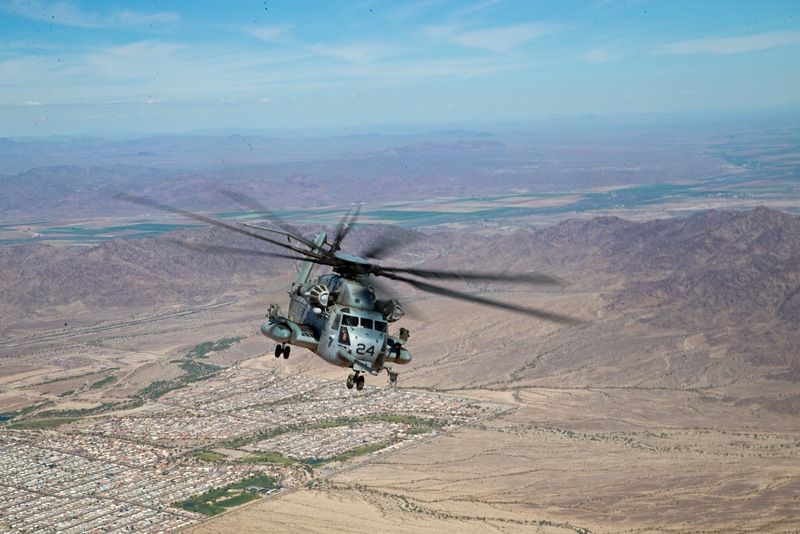 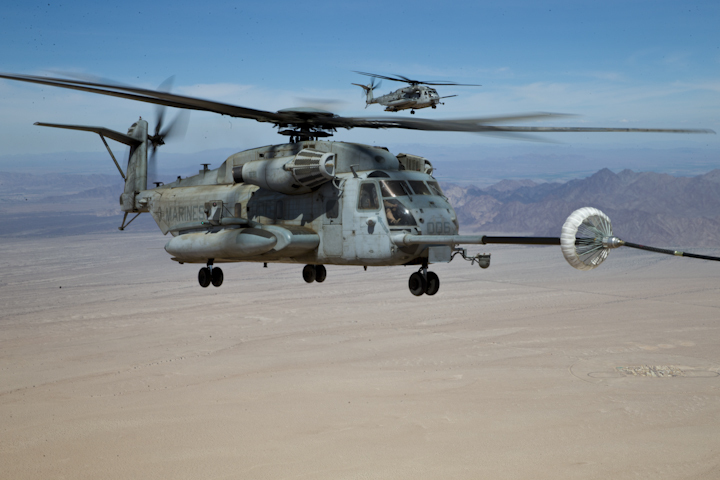 U.S. Marines with Marine Aerial Refuel Squadron VMGR-252 conduct an aerial refuel for a CH-53 in support of Weapons and Tactics Instructor (WTI) course 2-19 in Yuma, Ariz., April 6, 2019. 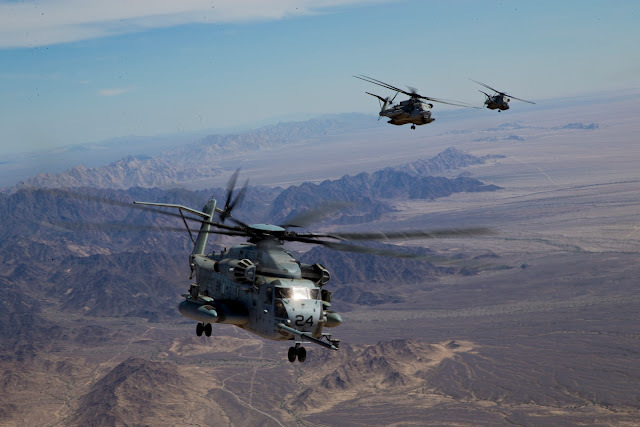 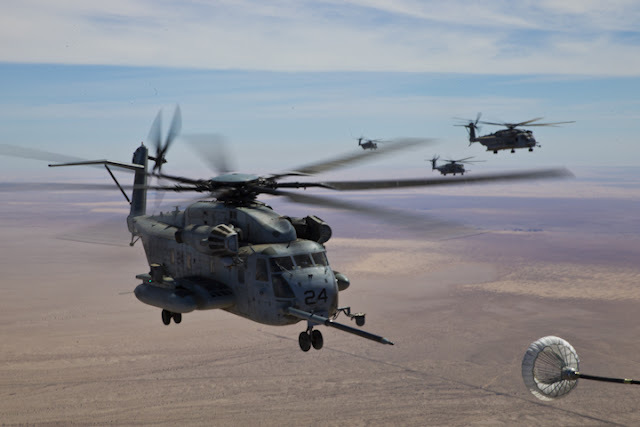 WTI is a seven-week training event which emphasizes operational integration of the six functions of the Marine Corps aviation in support of a Marine Air Ground Task Force. WTI also provides standardized advanced tactical training and certification of unit instructor qualifications to support Marine aviation training readiness and assists in developing and employing aviation weapons and tactics.